One of the greatest draws to Los Angeles are its abundant shopping options. Santa Monica Place offers just that (and close to the beach!) 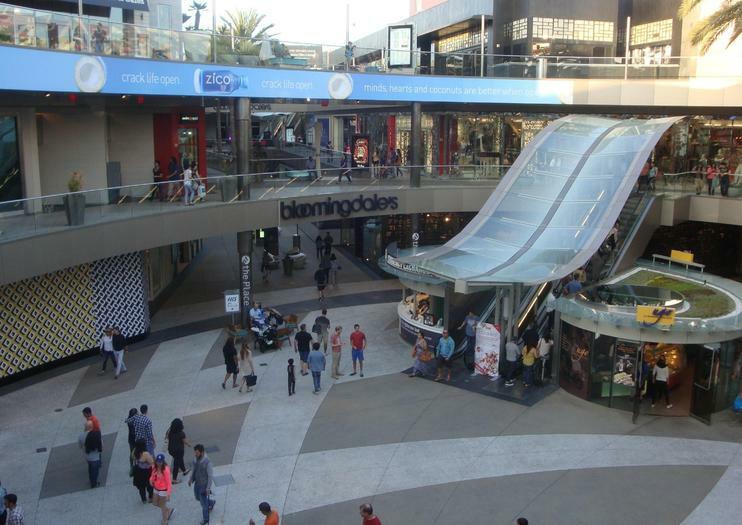 The open-air shopping mall is in the heart of Santa Monica and is just two blocks from the beach and pier. You can feel the sun and the ocean breeze as you walk through the shops. Luxury department stores such as Bloomingdale’s and Nordstrom sit beside brand names such as Jonathan Adler, Michael Kors, Louis Vuitton, and Kate Spade. The entire area was remodeled and reopened in 2010 complete with modern upgrades. Frequent community events always draw a crowd, as do the many upscale dining options. A rooftop dining deck offers both ocean and mountain views, allowing for shoppers to take in the scenery of the area while they visit. There is also an ArcLight Cinemas, one of the most favored movie theaters in the Los Angeles area. Santa Monica Place is located at the corner of Colorado Avenue and Ocean Avenue in Santa Monica, nearby to the Third Street Promenade and Santa Monica Pier. It is steps away from many of Santa Monica’s best hotels and restaurants. Valet and garage parking (first 90 minutes free) are both available. It is open daily until 9 pm (8pm on Sundays) though individual restaurant and shop hours may vary. To tell the story of your Los Angeles vacation on social media, don't share the same old selfies on Instagram—book this private photo tour, complete with professionally-edited images. Explore one of six neighborhoods, and capture the colorful details that make LA so stunning—from palm trees to street art—and come home with the perfect shareable content. When you're done, be ready to post 20 retouched photos, and about 100 original shots, included in the price. Discover Santa Monica’s world-class shopping, California-fresh cuisine and iconic pier with a package that offers access to some of the city’s most beloved attractions. Ride a cruiser bike along broad, palm-lined avenues, experience unlimited rides at the Santa Monica Pier, and enjoy the luxury of valet parking and concierge service. Spend the day shopping the city’s glamorous boutiques, pause for a complementary treat at Ugo Café, and remember your day on the coast with a a keepsake tote bag.